Maarja Motus, an Estonian designer and my recent intern spent 3 weeks in Rwanda recently conducting some research on my behalf. Here’s an extract from her report on Cashpower, the Rwandese term for prepaid electricity. The amount a family spends varies at large scale. A household with TV, washing machine, iron etc may spend 80 000 RWF per a month, where as a family with no home electronics, ( a lamp and a phone to charge), spends 3000 RWFs per month. Services with the same pre-paid model, airtime sellers provide the existing sales network as well as the consuming habit of buying often and according to the need. Power shortages that happen in the evenings around 1800-1900 hours, a couple of times in a week and keep people used to and relaxed about blackouts, and the blackout caused by lack of Cashpower are not taken emotionally (as a muzungu like me did). House girls. A single young man earning 200 000 RFWs ( 250 EUR) as a driver can have a housekeeper who cooks, cleans, shops, and is always there to run to buy electricity. In the families with fixed income, there is likely to be a house girl who is sent the corner shop to top-up the cashpower whenever it has ended. (fist s/he is sent to check the meter, then to the to top-up cashpower). Mobile money. Both MTN and TIGO carriers enable to buy electricity through their mobile money service, thus one can top-up their meter without leaving the house. Better awareness of the consumption. Being an temporary member at local house, she knew in numbers (its more common to express the consumption in days and money, not in kWh) how much more is spent on heating up the water tank. Sometimes it takes 5 days to end the cashpower, sometimes it lasts for 8 days. This difference makes people wonder where all the rest got wasted, did they forgot the hot water tank on for the day, did they left the lights or iron on, have they watched more TV this week? It makes people more conscious about consumption. Innovating with the BoP in Southeast Asia. The iBoP Asia Project has published the complete set of small grants funding innovation projects for those at the Bottom of the Pyramid in the ASEAN region. One of the first projects to win the Small Grants competition in 2008 was The Prepaid Economy Project: Understanding BoP household financial management. Following a fascinating conversation with @bankelele and @majiwater on Twitter regarding the cost of kerosene, pay as you go models and relative benefits of each, I’ve been inspired to write this post exploring the topic further. Before I proceed, I’d like to take a moment to clarify what the “Prepaid” in the title of this blog means: it is not so much the literal meaning of the word, as in you have paid in advance, although that is a part of the business model, but refers to the inherent flexibility built into the “pay as you go” business models. That is, the end user has a significant degree of control over the timing of a payment, the amount paid, the periodicity and frequency of such payments and that each time payments can be of different amounts. This underlying element of flexibility over time and money is what has made the prepaid business model so attractive and thus successful, among the majority of the world’s population on who manage on irregular income streams from a variety of sources. For those interested in diving into this finding further, you can read posts tracking the original field research in 2009 by using the category of “user research” on this blog. The conversation this morning however was on the patterns of purchase observed in household energy consumption – kerosene and liquid petroleum gas (LPG) as well as which offered a better ROI, intermingled with class/status associated with choice of fuel and its availability in urban vs. rural areas. The following discussion is based on the Kenyan context but the exploration of cost/benefit and the flexibility inherent in business models for each, are of relevance to the larger discussion on payment plans for the informal economy. One of the reasons that kerosene is so hard to dislodge as the fuel of choice among lower income populations (or, as may be the case, based on further research, “lower middle class” behaviour rather than income per se) is that it can be purchased on demand, on a pay as you go basis. That is, it can be purchased by quantity (as little as 1/4 litre) or cash amount (give me 50 Ksh worth of kerosene) as and when required. There is no imposition on the customer to purchase any fixed minimum quantity or cash amount. LPG comes in cylinders of fixed sizes, that is the quantity and its cost is already preset, although one can see a wider range of smaller sizes across the developing world, offering a greater amount of flexibility than the single size/cost of the standard LPG cylinder more popular elsewhere. Thus, it requires a “lumpsum” to be available – either for first purchase or for a refill, although, over the duration of use, it provides a better return. There is a discussion here that can happen on the “poverty premium” imposed by the lack of such lumpsums of cash available to those who manage on more irregular incomes, thus forcing them to use a more expensive fuel only due to the flexibility of its business model. This morning we looked at actual numbers, from Nairobi where kerosene retails at 100 Kenyan shilling per litre while the average LPG cylinder purchase is around 4000 Ksh. Those who use kerosene as their “fast cooking” fuel, as opposed to slower charcoal for their primary cooking, still end up requiring a litre a day – that’s 3000 shillings a month, while the cylinder costing 4000 Ksh can be made to last for 3 months before requiring a refill. Refills cost 2000 Ksh. This seems to imply that choosing LPG over kerosene is a no-brainer, and in fact, this cost benefit comparison was shared with me by Felix, who has often worked for me in the capacity of local guide and driver. He’s a taxi driver by trade, however, and its more likely that he will have available the lumpsum cash required for LPG purchase. For someone whose income sources do not offer the same quantity of lumpsums (smaller daily cash flow and transactions), this may not be a viable, though cheaper, option, forcing them to purchase more expensive kerosene simply due to the cash in hand constraints. Another factor that plays here is urban fuel use patterns as opposed to rural. While the daily juggling between “fast cooking” and “slow cooking” items is the same, i.e. use cheaper fuel for things that take longer to cook and expensive fuel for speed or convenience (morning tea before rushing to work), those in small market towns and rural areas tend towards a combination of firewood and charcoal, while the housing layouts and structures force urban dwellers to use charcoal and kerosene. Firewood is forbidden and/or simply not available as it is on the shamba. Again, as we know, long standing habits and behaviour migrate along with people, however, there may be interesting findings in taking a closer look at why existing behaviour is so hard to change and the correlating influence of business models. One has heard this morning, however, that there is a pilot program in Nairobi which is testing the pay as you go / on demand purchase model even for LPG refills. This will be an interesting program to observe and I hope to be able to do so in the coming weeks. Most mobile-phone transactions are tiny. Market traders, for example, use mobile phones to pay peasant farmers for a single bag of cassava or maize-meal. One of the most successful mobile-phone products in Kenya is a SIM card costing just a few cents—but that is all people need for the occasional transaction. In the informal economy, where the need to control one’s time (duration, frequency and periodicity) and money (cash or kind) was paramount, and where already the vast majority of mobile phone users are on prepaid accounts, these mobile money transfer systems offer the flexibility that those on irregular income streams need, in order to manage their finances effectively. No credit checks or payslips or reams of banking paperwork involved. I saw this informality in the social measurements used in the market – rough approximations of quantity and estimates of weight. I wondered in a different post what this willingness to be flexible might imply – where neither the buyer nor the seller were concerned about exact weights and measures, allowing a communal decision on fair price to emerge instead. Now it strikes me that the underlying principle of flexibility is what makes all of these models work. Sunil Bharti Mittal recently referred to a pattern of consumer behaviour that came as a surprise to Airtel Africa, leading to a rethink of their near future pricing strategy for this market. The Indian telecom company told participants at the Mobile World Congress 2012 in Barcelona, Spain, that it was surprised to find that the African market did not increase its talk-time, which was critical to supporting its low-cost model. “Unlike India, we were surprised that in Africa, lower tariffs could not increase volumes. 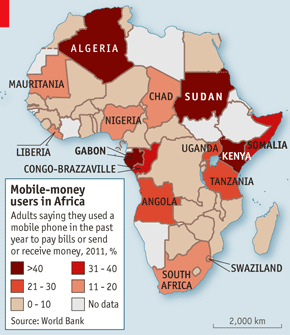 In Africa, subscribers use the money saved on lower-calling rates to buy food and not to talk more. “This means that we have to think of a new model that works there,” the firm’s chairman and MD, Mr Sunil Mittal, said. The lower income segments of the Indian market were introduced to mobile phone services almost concurrently with the price wars that shook the subcontinent a few years ago, that is, before behaviour around calling and texting had time to establish themselves. New customers experienced a telcom landscape that was in continuous flux and churn was high as people shopped around eagerly looking for the best deal. It was not difficult to assume correlation between ever lower prices and increasing volumes of use – particularly since the total market itself was simultaneously growing at a rapid clip. Sub Saharan Africa has long gotten accustomed to expensive voice and text rates from mobile service operators, and enough time has passed for a variety of compensatory behaviours to emerge. These have been well documented and include beeps, whistles and flashing. Low cost handsets started proliferating in the past 4 years permitting penetration of the device itself lower and lower down the income stream but user behaviour remained the same as that observed in early 2008 – that often, the phone was simply a device carried around in the pocket due to extortionate cost of calls and text (also documented extensively). Where it was the price of the service that was the primary driver of the mobile’s adoption in India, in Sub Sahara, it was the price of the device. So, when prices dropped significantly for airtime after Airtel Africa’s entry into this market, existing behaviour did not change so much as an amount of cash was released for other purposes. That is, if one has always budgeted 50 shillings for a top up every 2 weeks and then developed habits of use around the airtime available for that budgeted amount, the cost of that very same airtime being halved would not double the amount of use so much as simply cost less. Economic conditions and rising inflation resulting in high prices for necessities were also occurring during the very same period that Airtel Africa was dropping prices in Kenya – so the likelihood of the extra 25 Kes (since one had already budgeted for X minutes of airtime, not X cash amount of airtime) going towards sugar or edible oil or kerosene was greater than that of using more airtime minutes. I am not an economist to be able to interpret this behaviour in appropriate jargon, however, it is one that I’ve observed in other contexts as well. An example is that of how long lights are kept on in the evening by rural residents, regardless of whether one is using an expensive fuel like kerosene or a “free” one like solar power. Again, one would think that lights would be used for a longer duration if one didn’t have to ration the nightly quantity of kerosene, but the same behaviour is observed regardless of whether the homestead has electricity, renewable energy or fossil fuel. That is, the behavior itself is inelastic rather than the quantity of fuel or price particularly if the commodity in question is a high value item in the family’s household budget. It is only an eighth of a kilogramme packet of sugar, yet many Kenyans can barely afford it. This particular size of sugar has many references among residents of Nyanza Province, such as kobole, Kadogo and Sukari ndogo. In Kisian Village, Kisumu County, the packet is retailing at Sh28, the epitome of the ‘Kadogo economy’ (economy of little items). Commodities are repackaged into minute sizes or manufacturers package them into the smallest quantities possible, to ensure affordability. In Kakamega many people have adopted various survival tactics to cope with rising inflation. Most residents admitted that their incomes have remained constant over the years even as the cost of living rises. Jane Reuben makes between Sh200 – Sh300 profit daily from selling omena. Omena is an alternative source of protein for most residents. Reuben said she buys the half kilogramme tin of omena at Sh50 since she cannot afford meat. “Back in the days, I would buy the two kilogramme tin and keep it in the house. I would occasionally buy goat meat or pork,” he noted. A two-kilogramme tin of omena costs about Sh200. Reuben then buys kales (Sh50), paraffin (Sh10), cooking fat (Sh10), tealeaves (Sh10) and maize flour (Sh70 – 1kilogramme). After her shopping, Reuben is left with Sh100, which she saves for house rent. Her monthly rent is Sh3,000. With the wealth of bucket-priced offerings at their reach, he said these users have learned to shop for the cheapest call and text promos, posing a challenge to profit-seeking telecommunications firms. "It's important to know how our prepaid customers think. If you're a telco, how do you convince a farmer to spend his money on prepaid load over food? And how can you make him choose you over the other telco? How do you keep him spending? That's where the challenge is," Cu said. It is worth debating whether the buying habits of your average prepaid customer have been learned or previously there, choosing to sidestep, at this point, the red flag raised by the question of whether snatching food from the mouths of farmer's families is the right choice for profit seeking corporations to make or whether there may be other value creating alternatives. Can it be said that the prepaid pricing plans so prevalent now across the developing world have been influential in increasing the financial savvy of their BoP customers or whether this trait was already there, simply overlooked just as the BoP were as a demanding market in their own right? Certainly, the skills required to rapidly evaluate the best value for the peso, rupee or kwacha have been honed by the almost daily need to top up and the over exposure such plans through saturated advertising and communications. And that the influence of affordable mobile phone services has certainly been felt and measured. The phone has enhanced the user's span of control over their decisions regarding timing and amount of income and expenses, extended their reach and increased the speed of information flow, thus response time. of fish, rice or wheat. This, in turn, is one of the qualities, coupled with their irregular income streams, that make them one of the most challenging customer segments to serve. 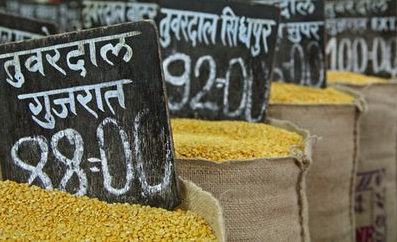 Surging food prices, partly due to the lowest monsoon rainfall since 1972, are being widely reported in India this month. I’ve been asking female informants and neighbours at Dharavi how they are managing the pressure on household expenses. Many tell me that they are adding more water to some dishes – making thinner dhal for example. Some pitch in together between a few households to make weekly trips to larger wholesale vegetable markets by train. Most of them already buy onions in bulk locally and have noticed a sharp increase in current prices so are now using less per meal. Larger families reported that they are cooking without coriander and with less chilli as these items used to be thrown in by vendors for free with a decent purchase but with recent price increases this practice is being curbed. One woman told me she had been experimenting with cooking the leaves of cauliflower which she used to discard. During earlier price hikes many mention that they would add potatoes to other vegetables to make them go further – but most women I spoke to seemed well aware that potatoes in particular have gone up a lot in the last month. News about the price increases have been widely reported across news channels and most people I speak with have access to television. And for those who don’t – this kind of locally relevant news travels quickly through the community. The impetus for the Prepaid Economy project came from field observations during other projects which focused on the design and development of products and services for those at the BoP. It was noted that the majority of the BoP lived on irregular incomes derived from a variety of sources, while few business models or payment plans were flexible enough to accomodate this variance in cash flow, imposing their own schedule and billing cycle on the customer. The only exception seemed to be "Prepaid" services such as "airtime" – the purchasing minutes of use for voice or text on the mobile phone, prevalent across the globe; electricity and other utilities in certain regions such as The Philippines or rural South Africa; all of which were bought in advance and then used for as long as possible before the next "top up" was required. The best designed products or services to improve the wellbeing or enable social and economic development would not be able to make a difference in the lives of the 'poor' if their payment plans or revenue models were also not as carefully designed to accomodate the financial challenges faced by those at the base of the social and economic pyramid. In order to do this, it was believed that an increased understanding of the way the BoP managed their daily needs, planned for major expenses or dealt with emergencies – that is, the household financial management – would provide insights that may assist in the better design of business models and payment plans meant to serve their needs successfully. Understanding the ways and means that value transactions take place at the BoP, how household incomes were managed and the conflict between regular payments on an externally imposed schedule against an irregular cash flow was being addressed by the families observed. Understanding the dynamics of practices that have led tto the development of prepaid payment as an efficient solution to the income stream vs. consumption pattern challenges. would be suitable for cooperative purchases at the community level, either based on existing practices or otherwise framed in the context of local socio-cultural norms and customs. I first noticed the influence of seasonality on income halfway during the Indian fieldwork. On one hand, its but natural that the seasons are linked to a farmer's cash flow, dependent as it is on the harvest. But it was when I met the silversmith that I realized that even his income was influenced by the harvest season simply because so many of his customers were farmers. This led me to start asking everyone else that I met whether they noticed any pattern of change in their income over the course of the natural year. Just about everyone could identify the high points and the lows, regardless of whether they themselves owned land or were farmers themselves. We could stop at this point with the assumption that rural economies are linked to the seasons and impact the majority of the closely knit community. However, I found that in The Philippines, Jesse the furniture maker, could also identify seasonal ups and downs in his income over the year, but his pattern of months was very different from the rest of the community. Instead of being linked to the "dry" and "wet" seasons (this was a rice farming region) his peak times were dependent on the holiday seasons of the balik bayan or migrant workers. They would use their home leaves to improve their houses, tending to order new furniture in conjunction with the renovation or building work done during this time. This leads me to say that while one could define seasonality as solely the influence of nature on the land, in the context of learning about irregular incomes, I'd prefer to expand the definition to include any reasonably predictable patterns in cash flow based on the earner's prior experience. This would then differentiate known changes in cash flow from the truly unpredictable – natural disaster say or the random – how many bottles of wine might be sold today. Thus, in rural communities, such as those studied, one might hazard a guess that the various mitigating behaviours, such as maintaining multiple streams of income or managing a portfolio of "deposits" that could be converted into cash at different durations of time, emerged from the experience and knowledge of the known, natural rhythm of the larger cycle of seasons but is also used to smoothen the volatility of the random and unpredictable in the shorter time spans. Nature would teach that there are things beyond the control of the human being, but experience would permit the control of that which could be managed.